If you have followed any of my posts over the last few years, you know I’m a big fan of tablets. 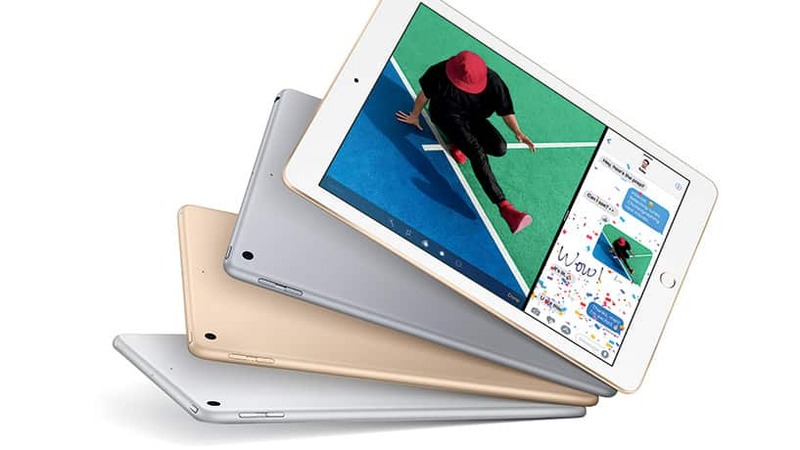 In fact, I happen to own an iPad and a Samsung Galaxy Tab S2, although the iPad is starting to get some age on it. For awhile, the Samsung became my go to device for almost everything. However, one unfortunate day, my tablet took a little tumble and the screen cracked. While it wasn’t a bad crack and the tablet was still usable, I hated looking at it every day. So I began searching for a new replacement. While you may think that I would have chosen the Samsung Galaxy Tab S3, I came across the Asus Chromebook Flip, and became hooked. But could it be a viable tablet replacement? Today, I wanted to describe my experience so you can see if Chromebooks are up to the task of becoming the next tablets from Google. First, let’s talk about what works well on the Asus Chromebook Flip, before we get to what doesn’t work. 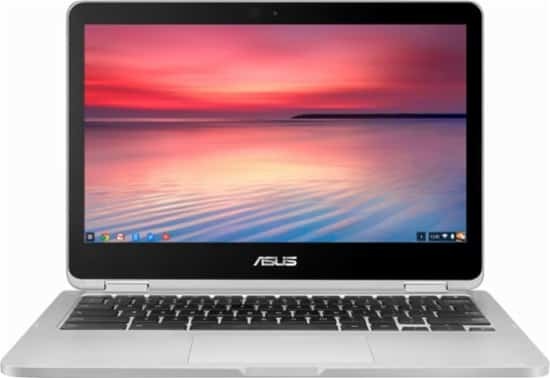 Remember, The Asus Chromebook Flip is powered by Chrome OS, Google’s browser-based operating system, but recent improvements have brought the Play Store and the world of Android apps to the platform. It was that news that made me finally consider a Chromebook with a touchscreen as a potential tablet replacement. Chrome OS is clean, organized and easy to use, which is always important in a tablet operating system. Because it is really a laptop with tablet capabilities, it comes with a trackpad and keyboard so I don’t have to worry about buying a bunch of accessories. They keyboard feels great and I rather enjoy using it. In fact, I’m typing this article on it right now. The trackpad, however, is really nothing special, but it does work well. Thanks to the inclusion of the Play Store, I can install apps from both the Chrome Web Store and the Play Store. So far, almost every app I have installed works quite well, although you can still tell the addition of Android to Chrome OS is somewhat patched on top of the operating system. Currently, every Android game I have tried works well and even productivity apps, such as Office, works great on the device. There is a reason I chose the Chromebook Flip from Asus. Remember, not all Chromebooks are created equally. In order for it to be a viable tablet replacement, you need to be able to put it into a tablet mode and have a working touchscreen for the full effect. After all, not all Android apps work very well with a mouse. Thankfully, the Asus Chromebook Flip excels in this area. It easily flips around and becomes a tablet. The touchscreen feels good and is very responsive, and I had no problem using any Android, or Chrome OS app in tablet mode. Now that you know the good, it’s time to examine the bad. After all, no device is perfect. But, before I go further, just let me say that most of what doesn’t work is superficial, and the problems don’t impact my overall experience in too many ways, but they are still worth mentioning. This is a tough one. 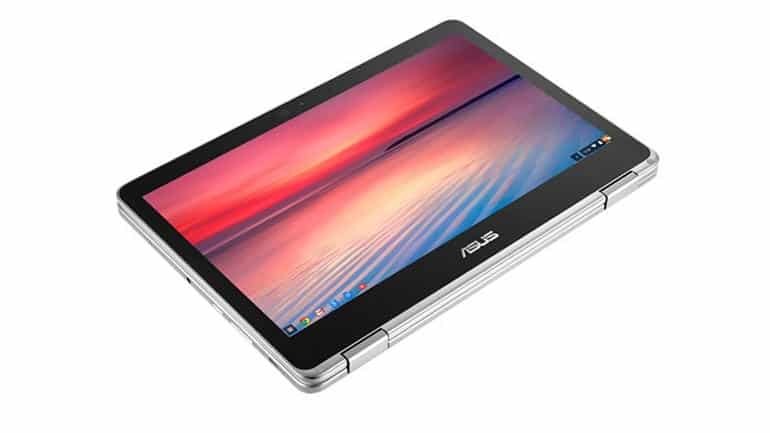 The Asus Chromebook Flip comes with a 12.3-inch display, meaning it is larger than most tablets out there with the exception of the iPad Pro and a few others. While it remains very light, the larger screen means it is a little more unwieldy compared to the small tablets, but you do get a much larger display in the process, which is great when using it as a laptop and even if you are watching a movie, but be prepared to rest it somewhere over longer periods of use. While I would rate my experience with Android on Chrome OS as positive and find that most apps work pretty well, there are a few issues here and there. First, I have found a few apps that just don’t work, and some you will find you won’t even be able to install. This problem is not Google’s fault, but up to the app makers to update their apps to work on Intel processors. Many developers have already embraced this change so you won’t run into it too often, but it does happen. Second, some Android apps will install fine but just don’t seem to work when you run them. I ran into this with the Outlook app from Microsoft. It installs and runs fine but won’t allow me to setup an email account. I found this one particularly annoying as that is my favorite email app on the Android platform. Another issue I have run into are occasional crashes of Android apps and I few other quirks. For example, when I’m playing Netflix, all my controls seem to stop functioning, except for play and pause. Once I play and pause the app, then I get back my controls. It’s a really weird error that I’m sure has more to do with the app itself and not the platform it’s running on, but it is worth mentioning. I expect little issues like this to clear up as time moves on and support for Android improves on Chrome OS. So here we go. Is the Asus Chromebook Flip a viable tablet replacement? Most definitely YES! 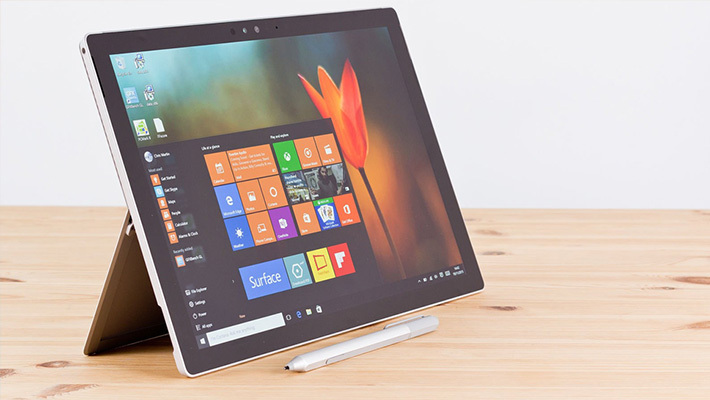 With its beautiful, responsive touchscreen, great keyboard, and flip design that converts from a laptop to a tablet and back, it’s a great convertible device that works well as both a tablet and a laptop. If you are looking to slim down your collection of devices or just replace your tablet with something that has a few more features, then I would seriously consider the Asus Chromebook Flip. My Samsung tablet has been sitting dead for almost two weeks now, as I see no need to charge it and continue using it. So, if you are anything like me, you will love using this device. In fact, I love it much more than my old tablet, even if there are a few quirks or things that you must get used to. What do you think? Do you agree with my assessment of the Asus Chromebook Flip? Would you consider using a Chromebook with a touchscreen as your next tablet? Tell me your thoughts and opinions in the comments below. 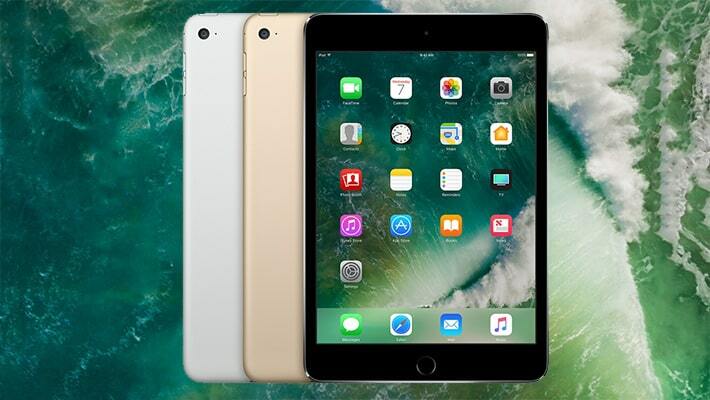 Can You Get a Virus on Your iPad? Can You Install Linux on a Tablet? Microsoft Surface 4 rumors: Could we see a new budget Surface this year? TabletNinja earns a small commission for retail offers listed on our site. Learn more about our editorial policies.